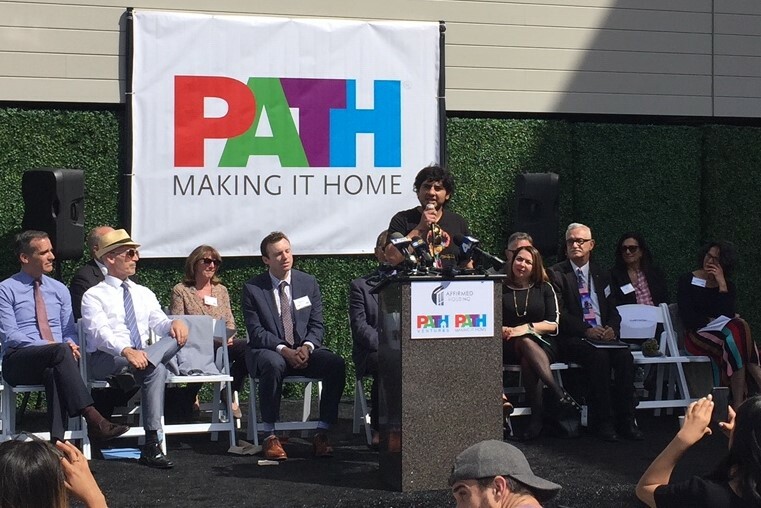 PATH Metro Villas supportive housing opened this week. All photos Joe Linton/Streetsblog L.A. 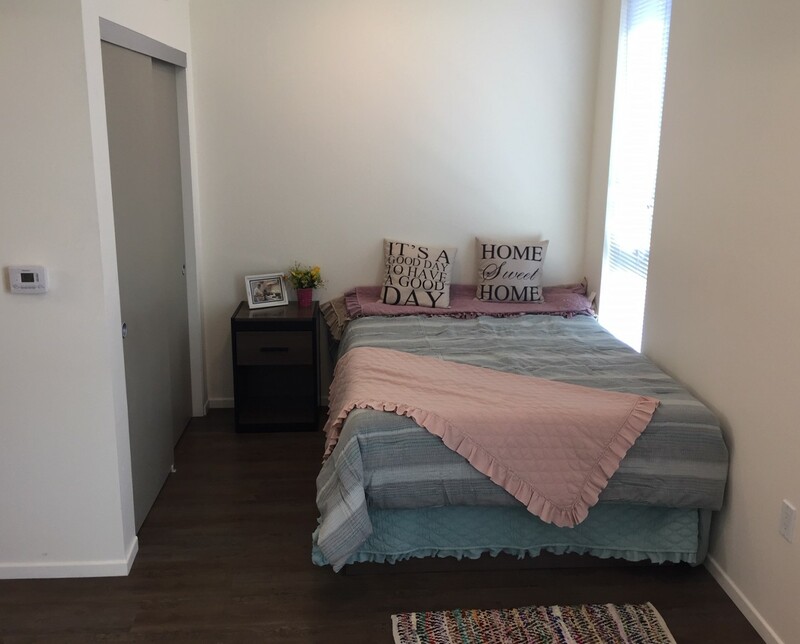 This afternoon, local leaders celebrated the grand opening of 65 new units of supportive housing – part of city, county, and community efforts to end homelessness. The David T.C. Ho Family Building, the initial phase of PATH Metro Villas, includes 33 studio apartments, 31 one-bedroom units, and one two-bedroom apartment. 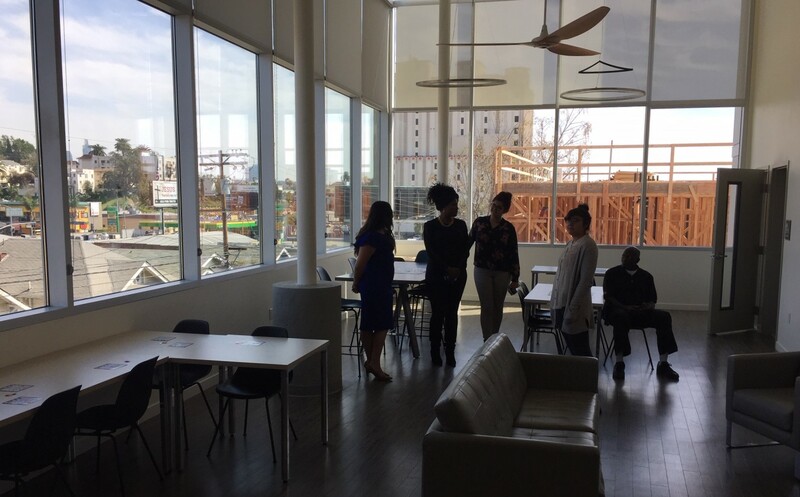 Tenants will enjoy affordable housing and benefit from case management and other supportive services. 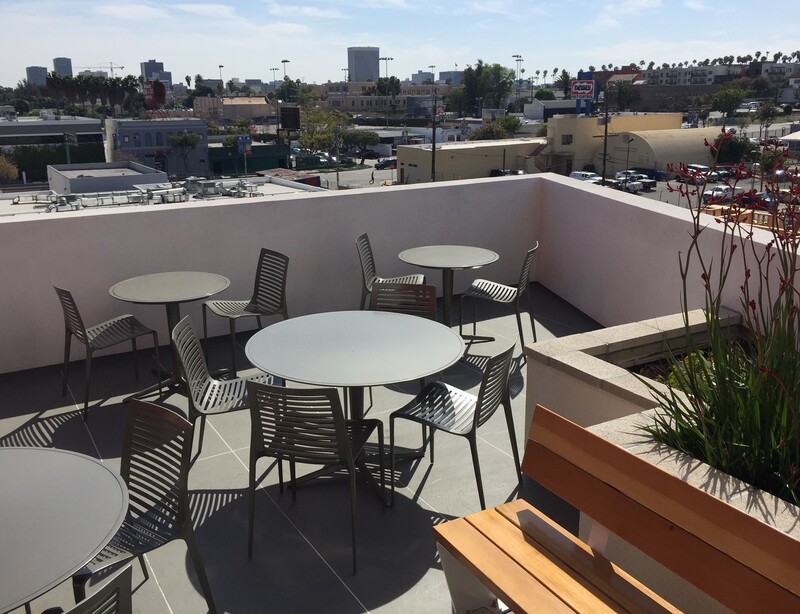 The new housing is located on Madison Avenue, just north of Beverly Boulevard, a short walk east of the Metro Red Line Vermont/Beverly Station. A second phase of PATH Metro Villas, under construction and due to open next year, will include an additional 122 supportive housing units. 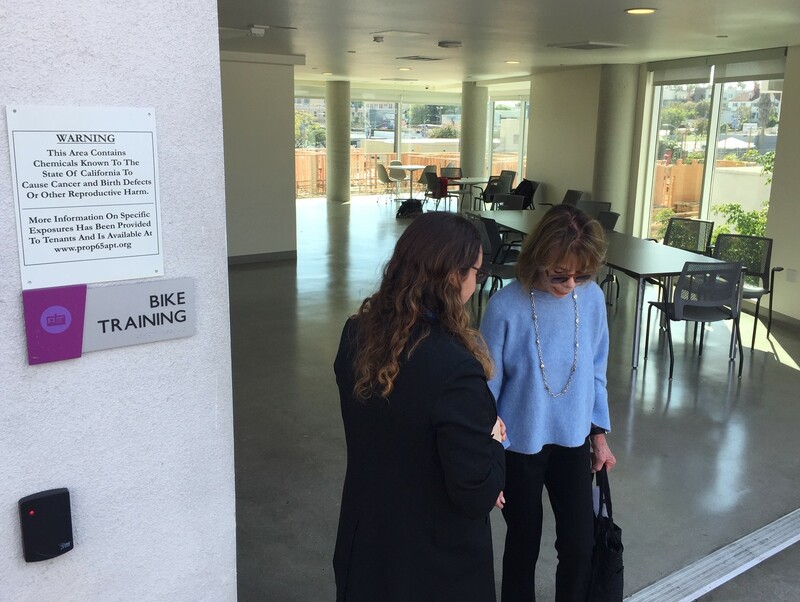 The new housing is a project of PATH – People Assisting The Homeless – working with numerous private and public partners. Funding came from the city’s Prop HHH, the county’s Measure H, federal Section 8 and Housing and Urban Development-VA Supportive Housing (HUD-VASH) programs, and California Veterans Housing and Homeless Prevention (VHPP), Affordable Housing and Sustainable Communities (AHSC), and Supportive Multifamily Housing Program (SH-MHP) programs. Private partners include Affirmed Housing, Killefer Flammang Architects, Enterprise Community Partners, UnitedHealthcare, and many others. 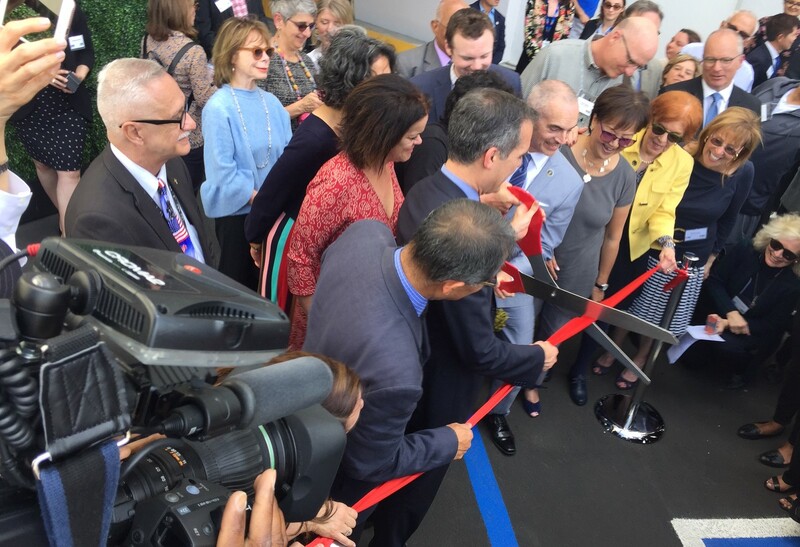 At today’s opening celebration, Mayor Eric Garcetti, City Councilmember Mitch O’Farrell, and County Supervisor Mark Ridley-Thomas praised the project as progress toward ending homelessness, and touted ongoing city and county efforts to step up and provide needed facilities and services. So cool to see this. This is how you solve homelessness and it will be a great support for the Metro station as well. 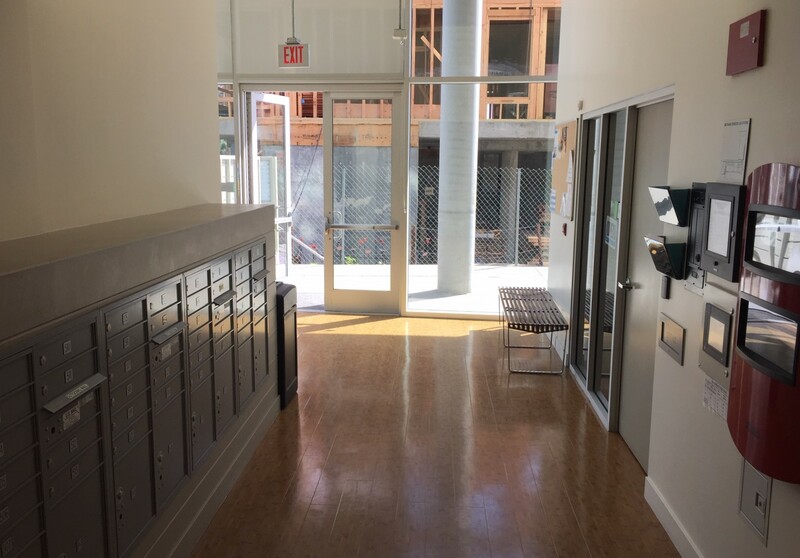 The new Measure H funded "LeaseUp" program partners landlords and non-profits to get homeless people into available existing housing units. Next Tuesday, the City Council will again revisit an appeal lodged against A Community of Friends regarding the joint development housing project slated for the lot at 1st and Lorena in Boyle Heights.